I'm not a super fan of cowls or infinity scarves, but I wanted to give one a try. Plus this works up quick and is warm. This one is crocheted using 2 colors of yarn. I chose Nothing As Black As My Heart & a deep purple that I had dyed before launching my biz. The colors blend and create subtle stripes. Each skein had a little left over when I was done. I used Front Post Double Crochet & Back Post Double Crochet to create the ribbed design. 1-2 skeins of worsted weight yarn. 1 skein for a cowl. 2 for an infinity scarf. 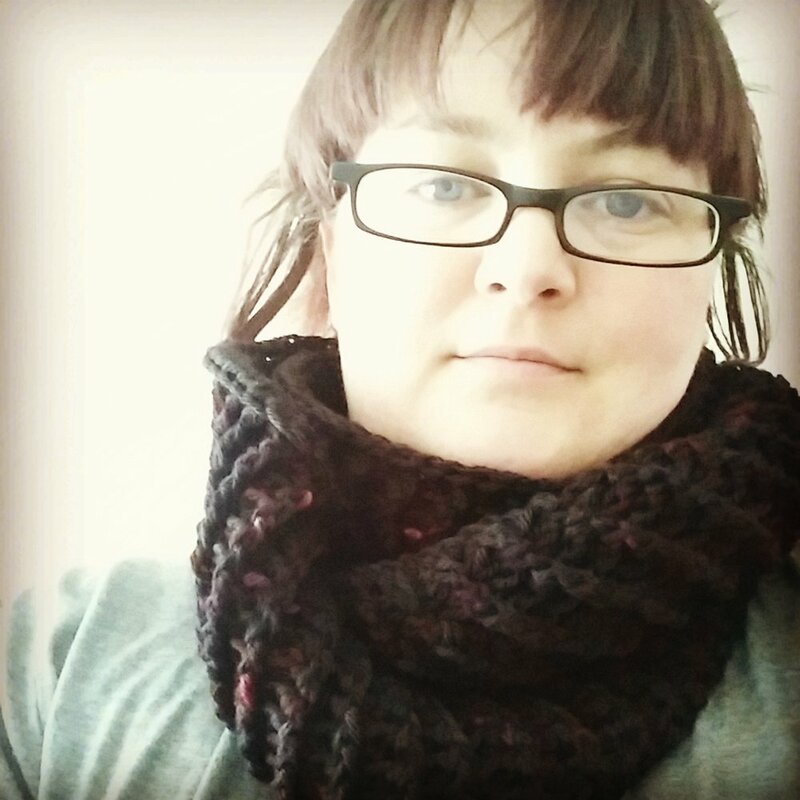 Decide how big you want your cowl/ infinity scarf. I made mine so it would hang just past my belly button. This way it was long enough to twist and loop around my neck twice without choking me to death. You can make yours longer or shorter. With color A, chain an odd number of stitches that give you the length you want. Slip stitch ends of chain together to form a loop. Round 1: Chain 2, HDC in each stitch around, SS into beginning chain 2. Repeat round 2 until you reach your desired width. Repeat round 1 and finish off. If you don't see the color of yarn you want in the shop, hit me up. I can dye it for you.